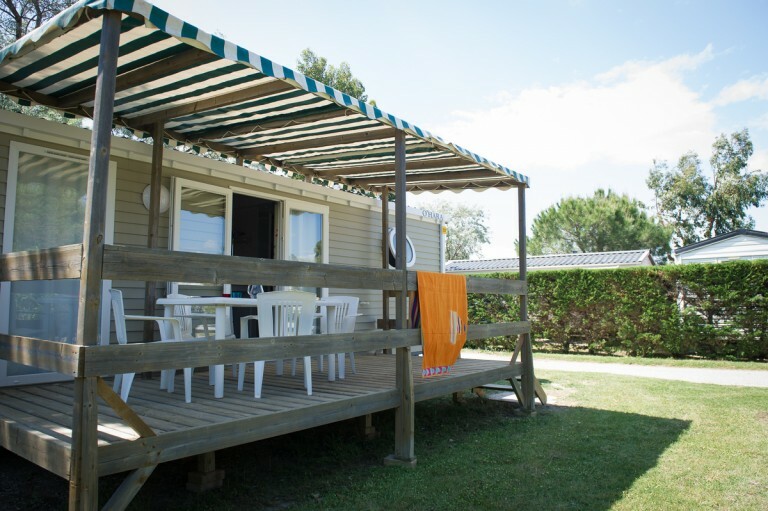 Want to enjoy a wonderful holiday in high-class accommodation on a quality campsite in idyllic surroundings? 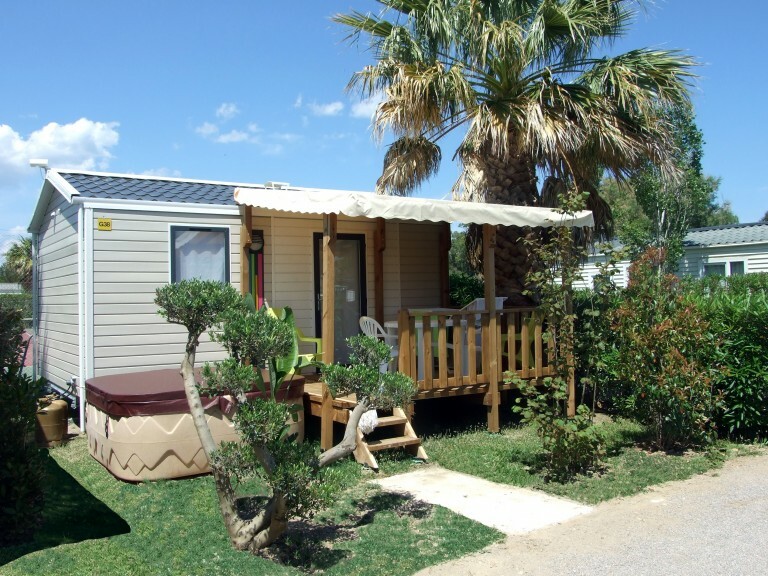 Our site offers a wide range of mobile homes to rent close to the Mediterranean. 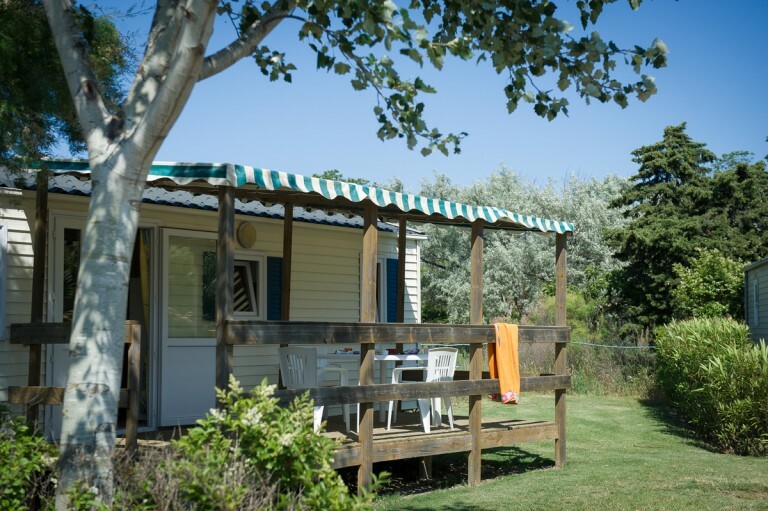 There is a choice of accommodation to suit your requirements and, of course, your budget. 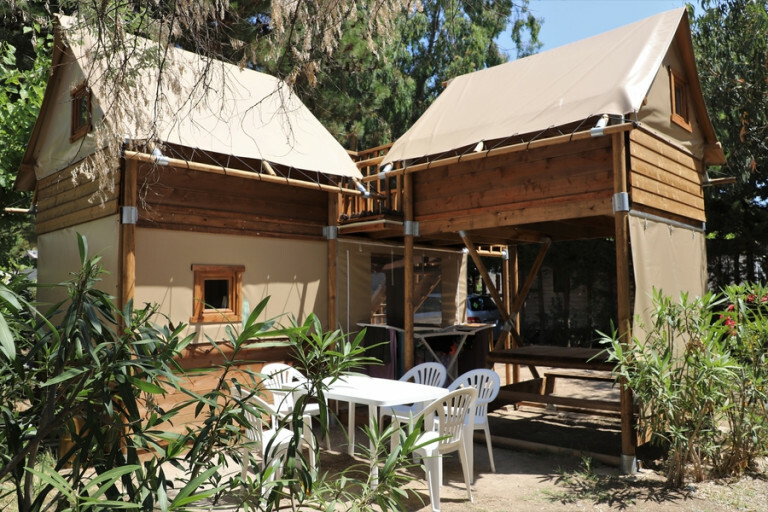 In all, there are four types of accommodation to choose from for your stay suitable for between 2 to 8 people. 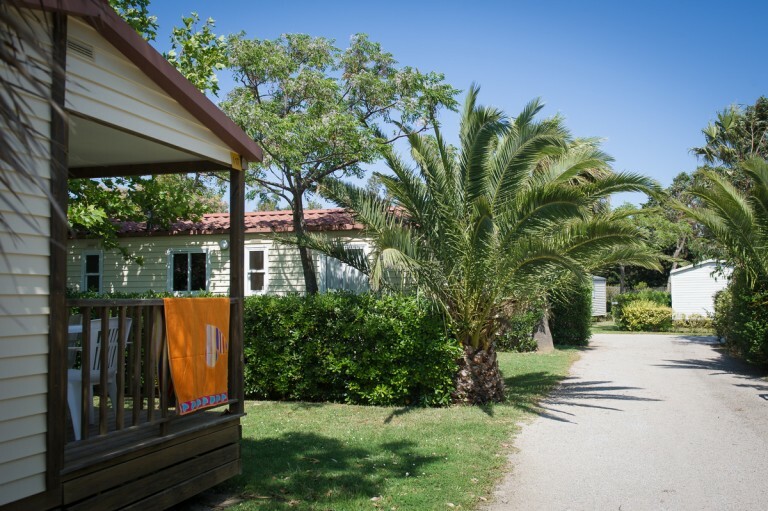 As a result, every group is catered for, whether you are holidaying as a couple, with friends or with family. 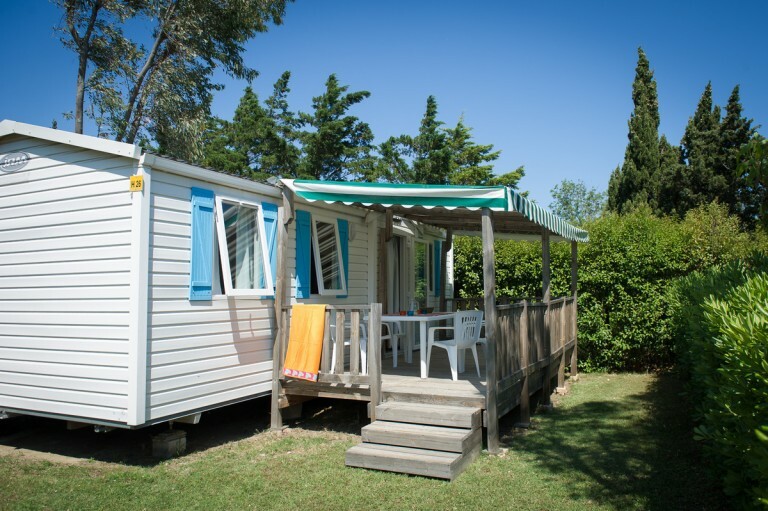 Camping l’Oasis can now offer the great new experience of a chalet for two that is perfect for a romantic break. 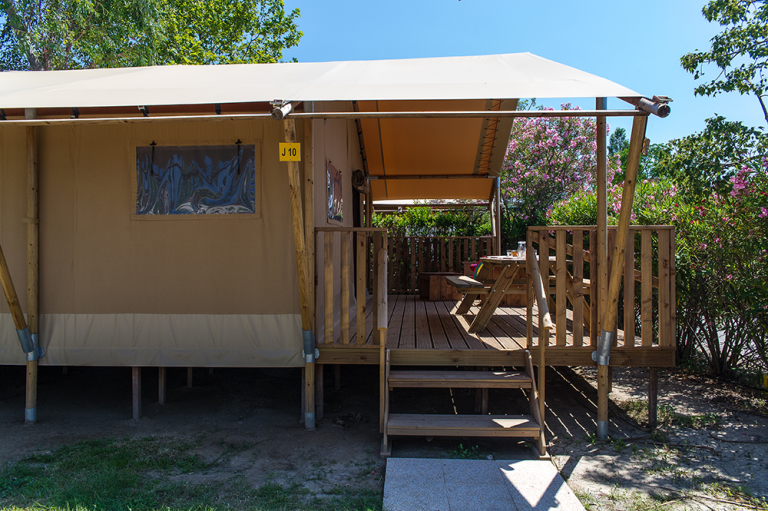 It naturally has all the traditional comforts that you would expect, but with a few added extras. 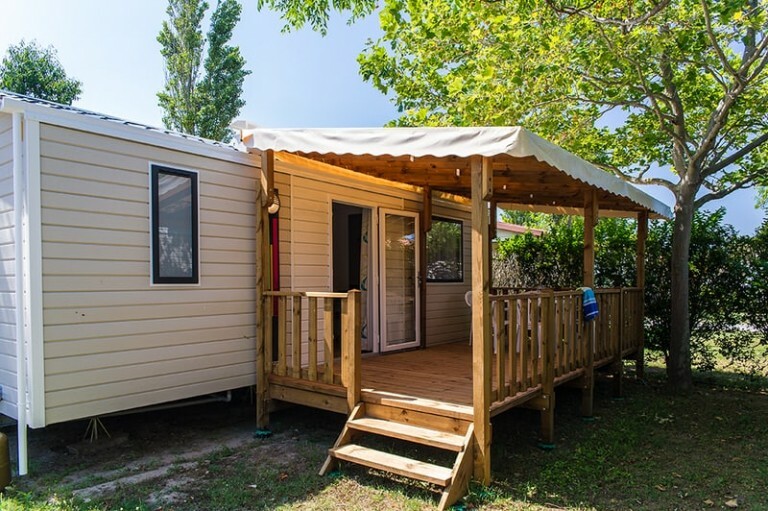 You can enjoy the benefits of air conditioning, a TV and a private spa – perfect for sharing some bathing and relaxation time as a couple away from the rest of the campsite. 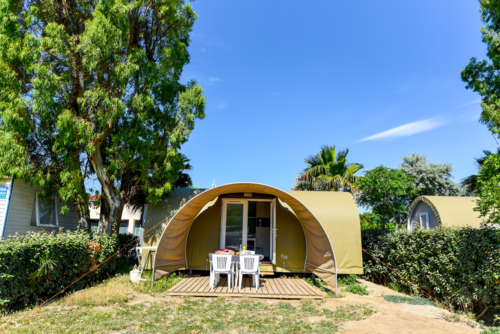 It is the ideal package for those who want to enjoy a holiday together away from it all for a few days. 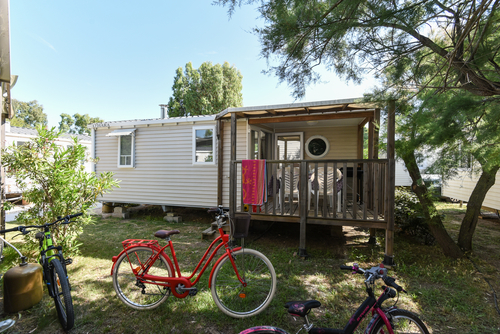 Other options are also available for those wishing to go away as a family. 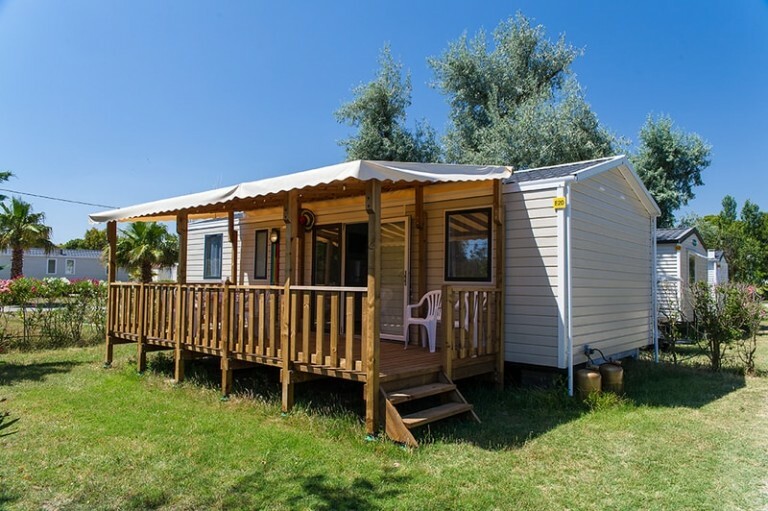 There are mobile homes and chalets suitable for 4 to 8 people in a range of choices and levels of comfort. 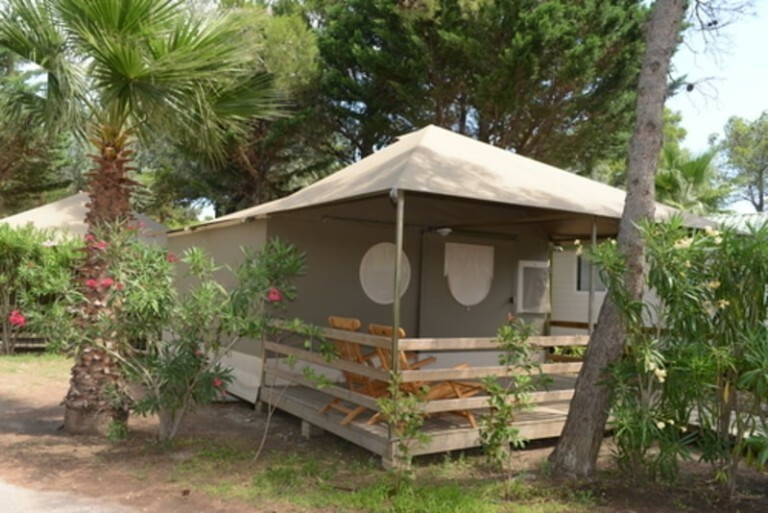 You can decide between the many packages available, such as having access to a TV for example, so that you can enjoy a good film together in the evenings. 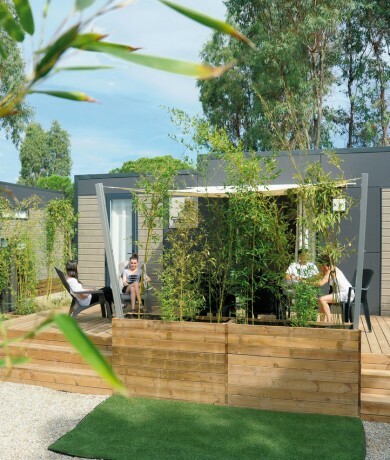 ‘Le Taos’ is another accommodation option available for groups and families. 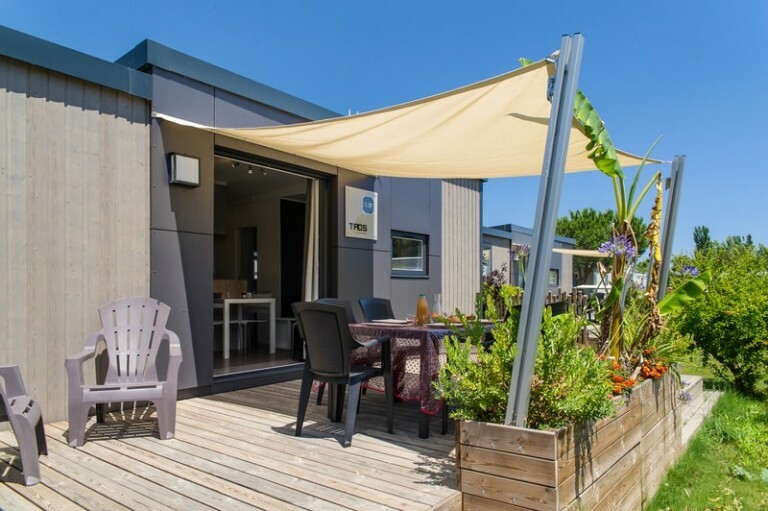 They look smart and are equipped with a lovely private terrace with garden furniture – perfect for eating outside whilst enjoying the sunshine. 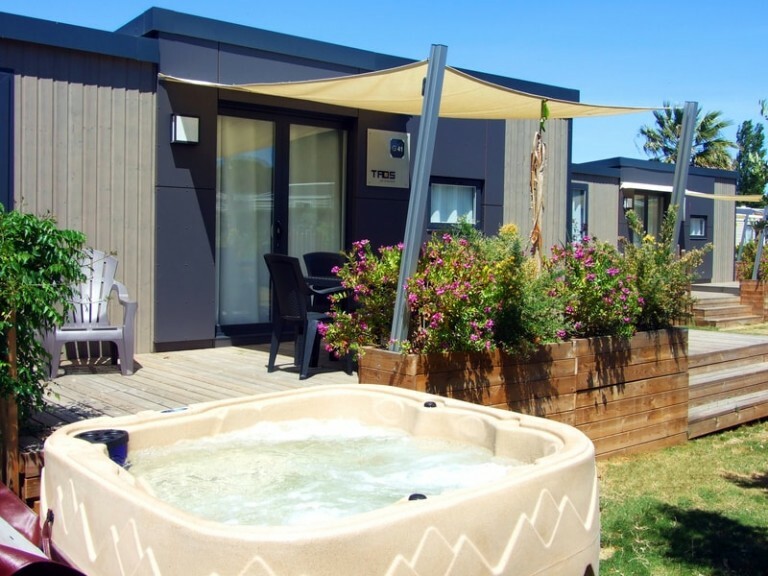 ‘Le Taos spa’ offers you the option of enjoying a private spa (included in your package) for a little added luxury and relaxation throughout your holiday. 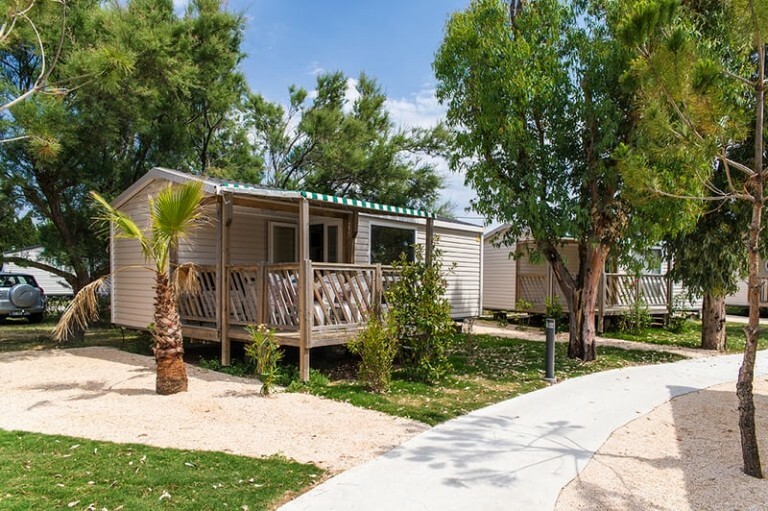 Whatever the size of your group, you will be able to find the perfect accommodation package for you at Camping l’Oasis. Do not miss out!